One thing that can be a burden while living on the road is dealing with routine medical care. In the case of an emergency, you go to the hospital. For non-emergency issues, we try to treat the problem at home before heading to the doctor. So when our Eva had a plantar wart on her big toe, I sought out a home remedy to remove it. I dreaded the thought of bringing her to the doctor to have her wart frozen off. If you’ve never been fortunate enough to have a plantar wart frozen, you just don’t understand how painful the process is. Aside from the standard over-the-counter wart medication, I came up empty handed….until I remembered Black Salve. I remembered some of my friends posting nasty looking pictures of suspicious moles removed by using black salve. I couldn’t find anything about using it on plantar warts. 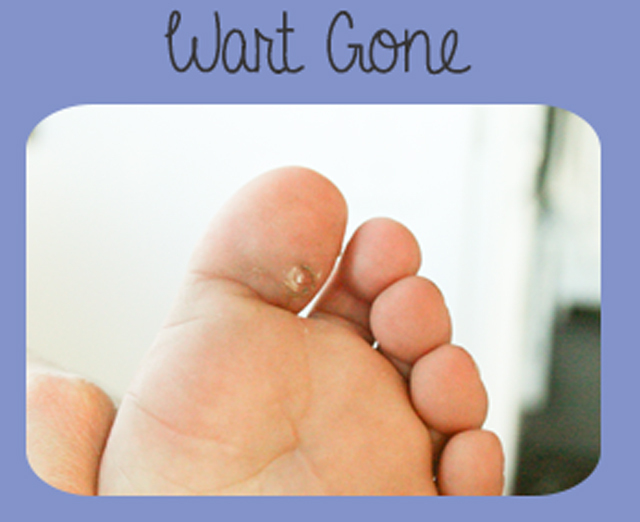 Since I read that it works on regular warts, I decided to go for it and try removing her plantar wart. The main ingredient in Black Salve is bloodroot, some people are not comfortable using bloodroot (which is an herb). Since she wasn’t going to be ingesting bloodroot and we were going to be using it very short term, I decided the risk was insignificant. The black salve I bought was through Virxcan. Now keep in mind should you scroll down, this isn’t pretty but it’s about Eva’s wart and it’s death. Trust me, don’t Google “black salve moles.” It’ll make you woozy because it looks so completely nasty while the salve does it’s job, but it’s effective. My pictures are not nearly as graphic but consider yourself forewarned. It doesn’t look bad right? I didn’t think so either, but that little bugger is definitely there. The above picture is of Eva’s wart after treating it with black salve for a few weeks. Above was as bad as it got, but truth be told, I was concerned at this point! I though the wart was possibly growing and I considered calling her pediatrician to get it frozen off. I called my friend instead and had her look at it. She agreed, it looked big and like it was worse. The last picture above is the view right after the wart had come out. The skin you see was scabby skin that eventually fell off. Her toe is now smooth and there is no evidence of her ever having a wart. Dabbed a small amount of black salve on wart. Covered with a tiny square of gauze. Duct taped gauze onto toe. Checked after a day or 2. The reason it took me a couple of months to get rid of her wart is because sometimes there was a lag between step 5 and 6 of about a week. I was guessing at this and at times I wasn’t sure it was working. I didn’t want to overdo the black salve either and cause her big toe permanent damage. The plantar wart looked MUCH worse right before it fell off. There is no scar or emotional trauma from the black salve. She did complain of pain at times, maybe from the salve, maybe the wart but it didn’t seem to be unbearable pain. Eva’s toe is completely healed up and she is wart-free. Black salve was less than our insurance co-pay and we have enough to treat 40 plantar warts if need be. I found just using the clear duct tape helps. The object is to suffocate it until it is gone. I’ve read that Layla, thank you for the tip! I’ve also heard banana peel. 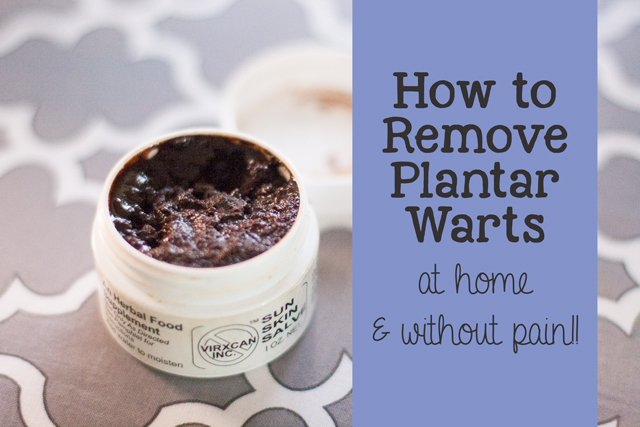 🙂 So glad there is not just one way to get rid of a plantar wart! Please, please, please rethink your use of black salve. To suggest it is irresponsible and completely unnecessary. Apple cider vinegar and duct tape are just fine! Black salve is not only toxic to the skin around the wart but contains potentially cancerous substances as well. Finally, you’re buying it from a source that you know nothing about how or what has gone into its preparation. Skeptical? Just google “Ruth Conrad” if you don’t believe me. Not sure i believe you. There are always instances when people go over board in self treatment which is likely the ase with her. Black salves usually contain bloodroot and zinc chloride.. Not sure whats cancerous about that. i am sure there are instances of patients having horrific results with traditional medicine as well although the media won’t report these as per the crooked FDA and medical establishment. Escharotic treatments are effective for cervical dysplasia and hpv too (thats right bloodroot and zinc chloride) and used successfully over and over. My baby boy had them bad. He had so many. LYSOL ALL PURPOSE CLEANER. Sprayed in the morning let sit for 5 mins and again at night. He was rid of them in a month or so. A doctor (off the record) mentioned what mother had done and it worked, well and fast. Without pain. Spray in am and pm let sit for 5 mins. Give about a month. homeopathic medicines are known to treat warts appearing on the fingers. Hypnosis has been used, with a better response in children. open wounds aree more susceptible to warts and other infections. Where can I buy the black salve you used? I had mine removed years ago all the way to the bone and guess what they do come back. I have had them removed aprox. 4 times being frozen and then I tried the duct tape. You soak your feet and then cover it with duct tape. Leave on for 6 days then remove and soak feet. Leave on 6 days. Continue this until its gone. Only thing is they always come back. Its caused by the Hpv virus. After trying everything…. 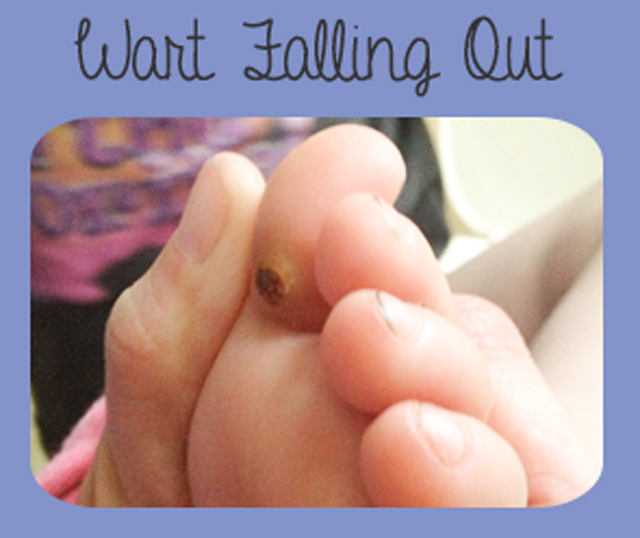 we got rid of my daughter’s HUGE plantar’s wart using plain old Bragg’s apple cider vinegar. We put it on every night by pulling the end off a cotton swab, soaking it in vinegar and applying it to the wart then covering with a water-proof bandage. It was gone within two weeks. Wow!! That’s great to hear Laurie!! I had a which was to believe a planters wart. I had had it there since the 4th grade it was on my middle finger on my hand. I would cut off with nail clippers. Or soak it in apple cider vinegar.it would always come back, here in 2010 it started hurting . So then I really got curious as to maybe I needed to see a doctor. Dr. went ahead and cut this wart thing out it had like roots and a blob of mass . Never even would have known that it was that big She sent it to the lab and when the results came back it was. A over growth of skin and fatty cells. Due to perhaps an injury as a child .The body just glad that it was not cancerous. And it has never came back. Wow! Our body responds in crazy ways sometimes doesn’t it?? Glad you got it taken care of! 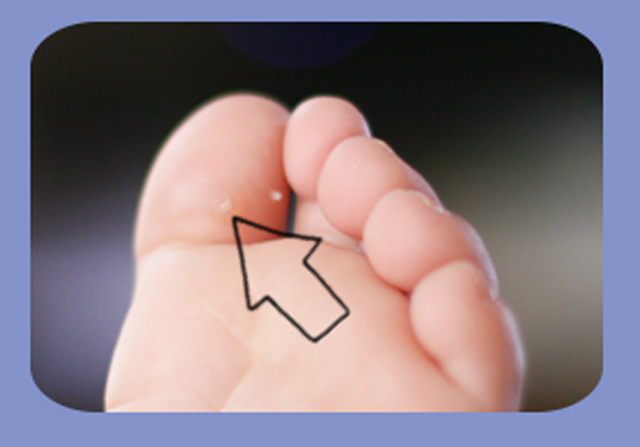 My daughter has a plantar wart on her big toe. Been there for about 6months now. We have been treating it with compound w and filing down with a pumice stone. Its still there. Shes 12. Any advice? ?